In today's society, the words "anxiety" and "worry" are often used in the same context. The terms are similar in definition, too. Dictionary.com defines worry as "a cause of uneasiness or anxiety" and anxiety as "distress or uneasiness of mind caused by fear of danger or misfortune." Addiction is a serious physical and mental health concern that can lead to a variety of problems, including depression and anxiety. Cognitive behavioral therapy or CBT can help beat it on its own terms. The decision to enter couples counseling, is a positive one. It gives you hope in salvaging your relationship, it teaches you how to work together amicably and allows you to express your feelings in a safe environment. Everyone in the family suffers when one of its members has a depressive illness. This is why depression counseling succeeds when the entire family becomes involved. 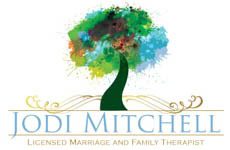 Family therapy allows the entire household to participate in the counseling program. The unit becomes empowered and strengthened so that the depressed individual is more like to succeed in his treatment. Cognitive Behavioral Therapy (CBT) is a type of talk therapy, also known as psychotherapy, where you work with a licensed professional mental health counselor. CBT helps you to become aware of adverse or untrue thinking patterns so you can change your thinking and view challenging, triggering or unfavorable situations more clearly and react in a more positive way.